When your tooth is infected, you have two options: get a root canal or have your tooth extracted. A root canal preserves your natural tooth with a relatively painless procedure, so Francisco Marquez, DDS of Santa Fe Dental recommend it instead of extraction. Restoration expert Dr. Marquez fixes you up like new, so you don’t lose your tooth. If you’re looking for a dentist in Santa Fe Springs, California, schedule an appointment over the phone or online with Dr. Marquez. 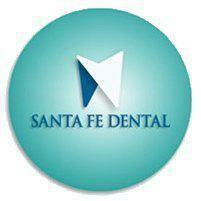 Dr. Marquez recommends root canals to save your tooth when it’s damaged, infected, or decayed. A root canal is a treatment for an infected tooth in which Dr. Marquez removes the soft pulp inside the tooth, sterilizes the canal, and fills in the remaining hollow to seal it against infection. Despite the common misconception that root canals are scary, the procedure is painless and little different from getting a filling. 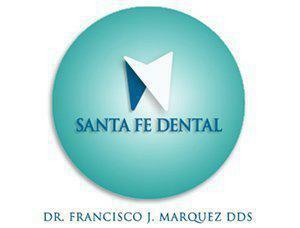 Dr. Marquez numbs your gums, and you feel little more than a drilling sensation while your dentist prepares the tooth. If tooth decay or infection continue to cause your tooth and the surrounding tissues and bone to deteriorate, you may lose your tooth. The bacteria may damage the bone that supports your tooth until it becomes loose and falls out. Meanwhile, the tooth can become abscessed, causing excruciating pain and swelling. A root canal is meant to relieve the pain of infection and restore the tooth. If you have an infection, you risk the infection spreading to your jaw, face, and other parts of your body. If left untreated, it can lead to dangerous sepsis. An infected tooth requires urgent medical care. A root canal preserves your natural tooth, which is the best option to alternatives like dental implants, bridges, and more complex procedures. Keeping your original tooth makes it easier to chew, speak, and maintain your appearance with a much less invasive process. A root canal eliminates the contamination that damaged the tooth in the first place. It should clear up the infection and halt the tooth decay, restoring the tooth to full functioning again. When done correctly, root canals are also meant to be a permanent fix. With proper care, the affected tooth can last a lifetime. If you’re looking for a qualified dentist to preserve your tooth, contact Dr. Marquez online or by phone to start the root canal process.